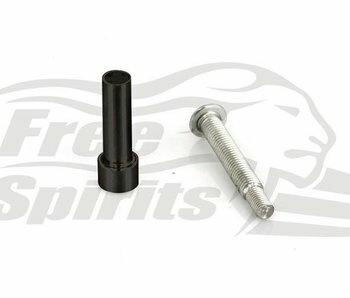 Battery tray allowing the removal of the original air box on your Bonneville, Thruxton or Scrambler. 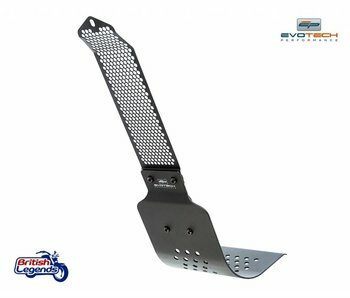 Sump guard for engine protection in solid aluminium, design using a Triumph "Engineering" outline from the 1960s! 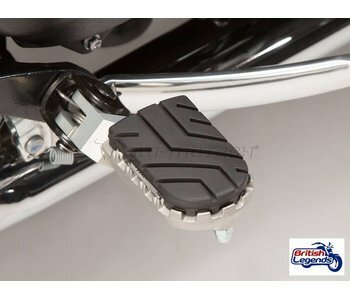 "Side-mount" plate to fit the licence plate on the right-hand side of the bike. Tail light and wiring loom optional. 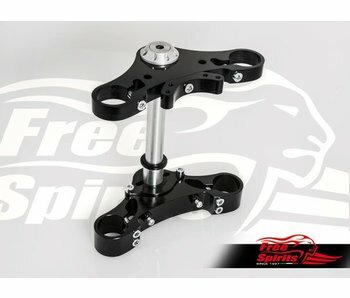 Gear lever for Triumph Twins, adjustable in length and height for comfort. 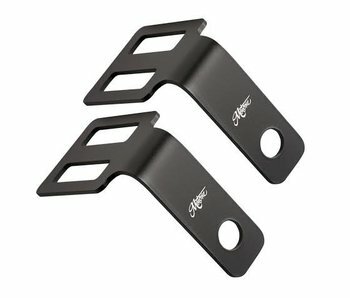 Solid aluminum, beautiful AND practical! 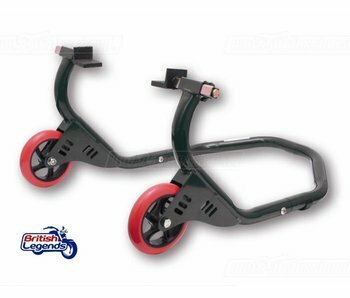 SW-Motech foot-pegs for better comfort and foot control. Adjustable height. 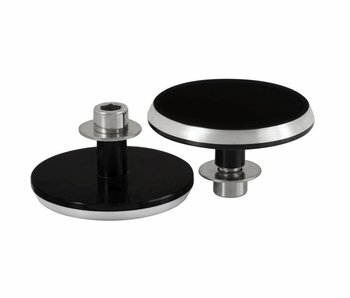 Removable rubber pad. Sold as a pair. 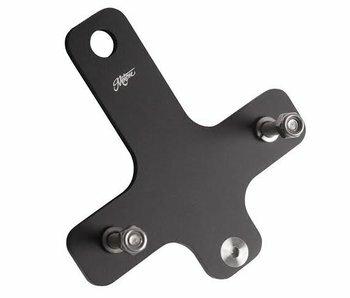 Bracket for the relocation of the electric regulator / rectifier of your Triumph. 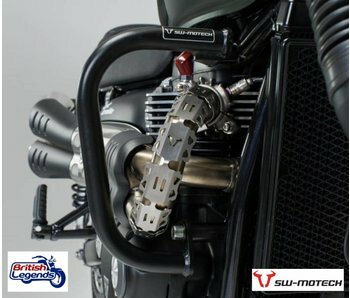 Aluminum sump guard, also protects the radiator of your Triumph Bonneville Thruxton or Scrambler. 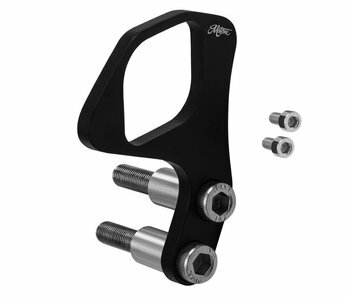 Complete kit for installing solid aluminum triple clamps on your Triumph Twin 790/865cc (2001-2016).